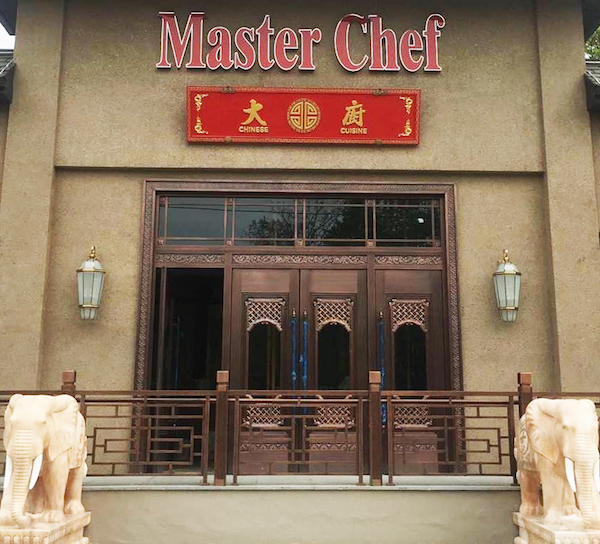 The new Master Chef is the most Chinese Restaurant on Long Island. 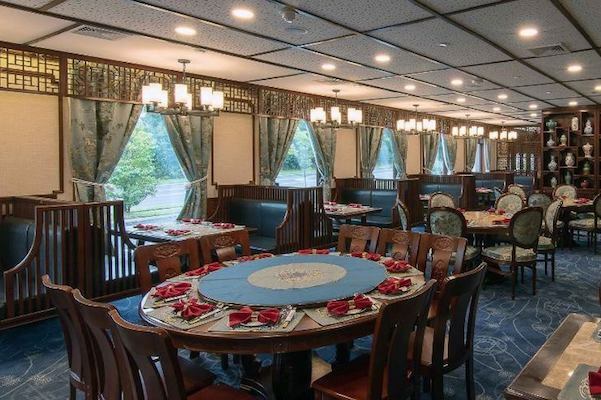 Whether diners know it or not, stepping into this luxurious pricey Syosset spot is like stepping into China. That’s because the entire elaborate interior was sent as a package to the Island from China. Every urn, artifact, Asian art wall hanging, even the tea cups and place mats originated in the Orient, and Chef Xing Ho came not from Chinatown in Manhattan or Flushing, but from Taiwan. He presides over a glossy six page menu. It’s a sprawling, wide ranging document in terms of price and food type. bMost noodle and rice dishes cost $14 while Royal Peking Roast Duck goes for $69. 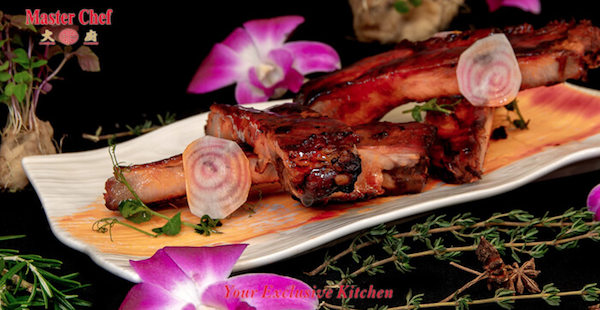 Traditional diners can order Lo Mein, fried rice, moo shu pork and General Tso’s Chicken while more adventurous eaters can opt for the likes of King Prawn with mashed Pumpkin, Duck in nest and Jade Green Scallops. With its vast range of prices and dishes Master Chef, at least in the early going has been packing ‘em in. Valets have trouble finding parking spaces for all the cars that descend on the restaurant. Large round tables are dominated by big Chinese (a good sign) family groups. For the most part, Master Chef’s popularity is justified. It's also enhanced by a large contingent of Captains wearing jackets and ties and an equally substantial group of waiters in sequined outfits. Unfortunately, the crowds sometimes overwhelm the hard working staff, service slows and courses come in staccato-like bursts. Our four appetizers arrived one - pause - two - another pause - and an hour after the initial dish the final one made it. Overall, main courses are superior to appetizers. Yet every bite of a honey BBQ roast pork starter exploded with flavor and golden crab claws, a few papery puffed morsels harboring a touch of crab in a rich cream sauce, were fine. But a Jewish-Chinese pastrami egg roll generated only a pastrami taste and chicken skewers yielded little taste of any kind. Main events included supreme short ribs with the tenderest meat ever in garlic and house sauce, a generous heap of Singapore rice noodles with just a pleasant hint of spiciness, duck in nest an amalgam of savory, shredded duck and fresh mushrooms in a nest touched with Kong Po sauce and a bountiful portion of prawn with broccoli.